In July 2014, JLL and Forum for the Future were appointed by Hammerson to provide support in (re)setting the company’s next phase of sustainability targets through a combination of stakeholder engagement and leadership benchmarking. 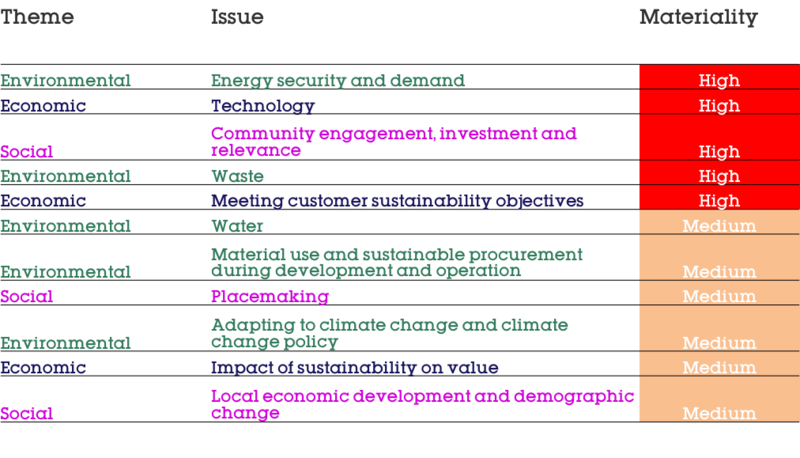 In order to inform the setting of Hammerson’s next phase of sustainability targets, JLL and Forum for the Future asked stakeholders to identify the sustainability issues that they felt were most material to Hammerson from a long-list of eighteen potential sustainability issues. Stakeholders were also asked to select their top 5 future issues. The results of these future selections were used to test and validate the overall materiality findings. The net result was that ‘energy security and demand’, ‘technology’, ‘place-making’ and ‘adapting to climate change’ were emphasised. Overall, 11 material issues were identified for Hammerson representing a range of environmental, social and economic issues. Hammerson’s sustainability performance was assessed using the JLL Sustainability Journey Model©. This was considered important as a means of reflecting on what the company has achieved relative to its peer group in terms of sustainability and what it wants to achieve. 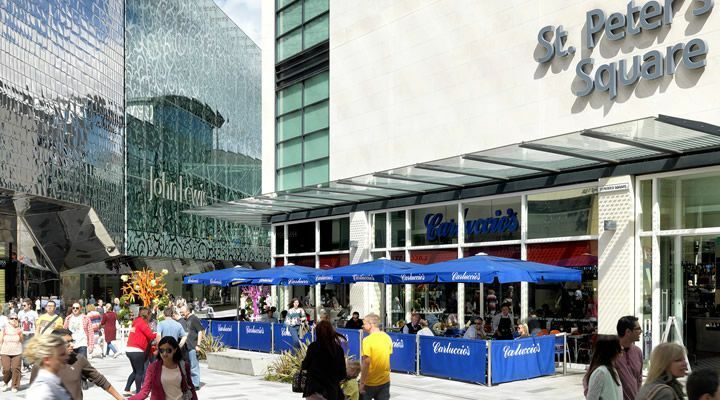 Over the last 15 years, Hammerson has allocated considerable investment, time and resource to sustainability. Hammerson has mature management processes, a resilient governance structure, transparent disclosure of performance against targets and KPIs and a culture that encourages innovation and engagement with stakeholders. Across five of the hallmarks – ‘Leadership and Governance’, ‘Everyone Understands Sustainability’, ‘Sustainability delivers value’, ‘Value Chain’ and ‘Culture of Innovation’ - Hammerson was found to be leading the property sector in relation to JLL’s sustainability journey model.